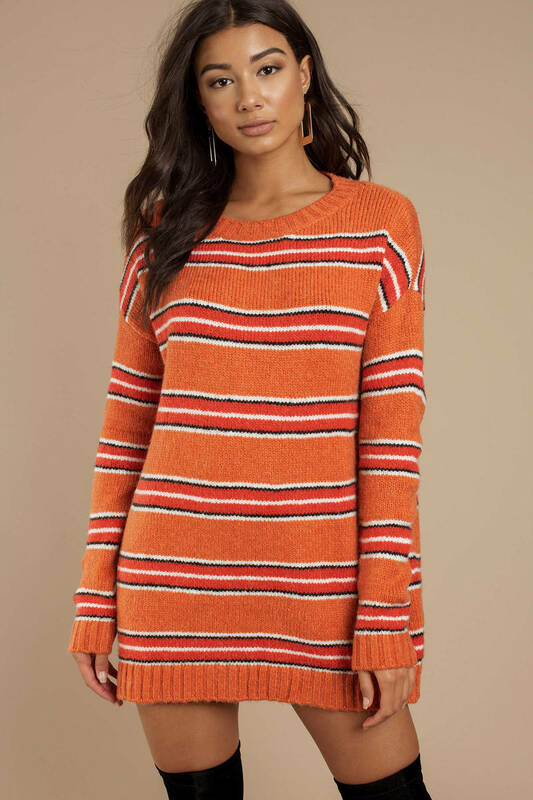 Check out Tobi's Charlie Striped Sweater Dress Stay warm & cute in For Love and Lemons' Charlie Orange Multi Striped Sweater Dress. 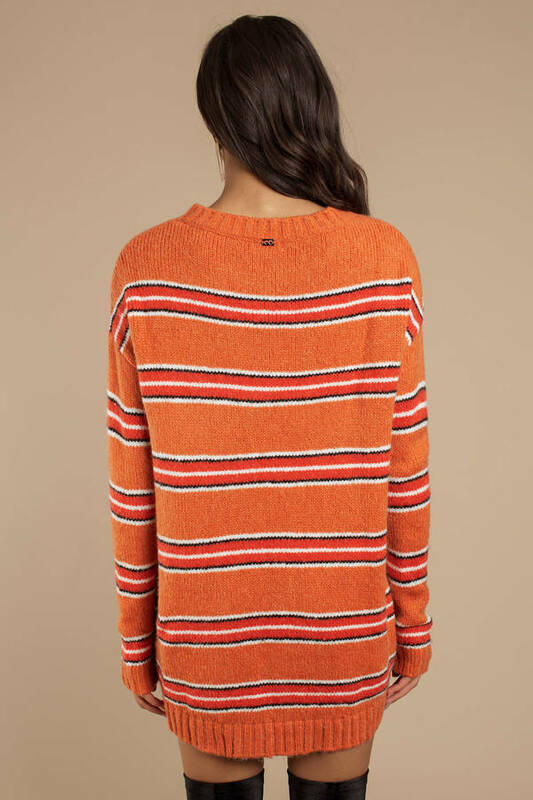 This bright orange dress features a crew neckline, pretty stripe print, with long sleeves, ribbed cuffs, neckline, and hem. Pair this striped sweater dress with thigh high boots for the perfect fall outfit. Stay warm & cute in For Love and Lemons' Charlie Orange Multi Striped Sweater Dress. 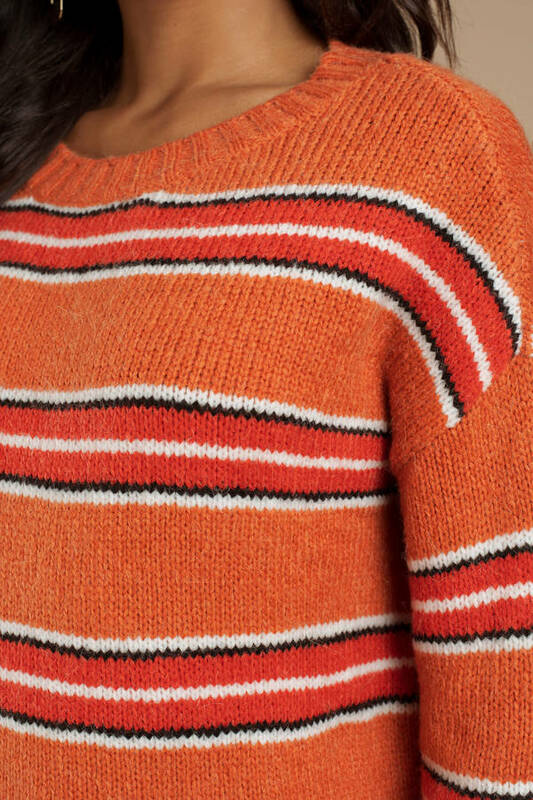 This bright orange dress features a crew neckline, pretty stripe print, with long sleeves, ribbed cuffs, neckline, and hem. Pair this striped sweater dress with thigh high boots for the perfect fall outfit.